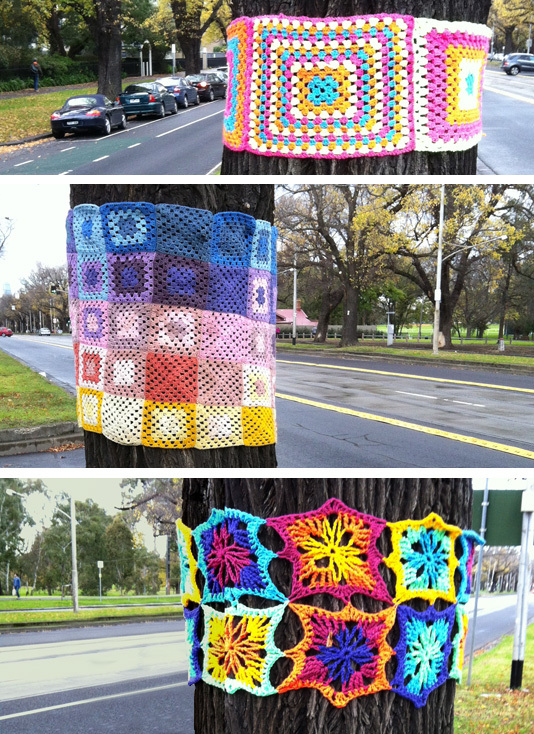 During last week I had to take a tram up Royal Parade for work so I got a good look at the 'Royal Granny Parade' yarn bomb that had been done on 85 trees lining the road. 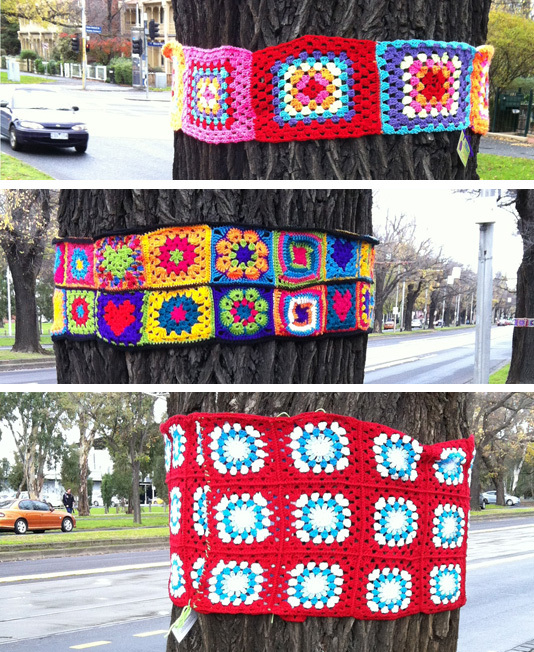 It was a piece commissioned by the City of Melbourne, created by Yarn Corner and installed on International Yarn Bombing Day. I photographed a few trees on the day, but didn't have time for much more, so I took a trip back last weekend. Disappointingly a number of my favourite ones had already been taken down. I hope it wasn't by vandals. The whole street had looked so good when every tree along the road was wearing its woolly garment. 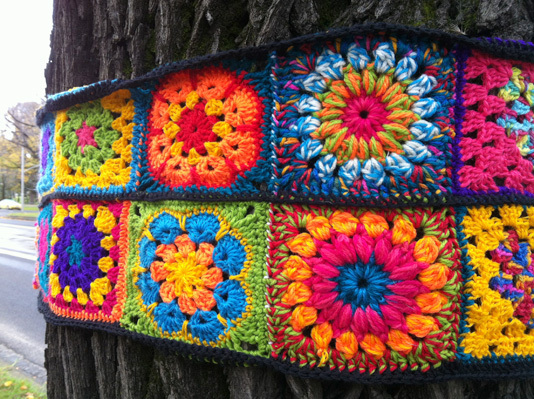 I have heard that Yarn Corner donate pieces to charity after a yarnbomb, so hopefully that's what happened to them. It was a pity though that the full effect hadn't even made it through one week! Still, there were enough great pieces on show as you can see. My crafting has slowed a little as I'm back up in Sydney sorting out the move of all my furniture to Melbourne. Come Monday I'll hopefully have all my things in one state and I can start creating my own new colourful corner of the world! And my sock progress? Well I had finished one and was three-quarters of the way through the other when I decided I wasn't really happy with the cast-on, one heel wasn't quite right and I was going to have a fair bit of wool leftover which I thought was a waste. So, I undid it all and started again. I still think I'll make the June finish... Fingers' crossed! How gorgeous - what a great way to brighten up winter!